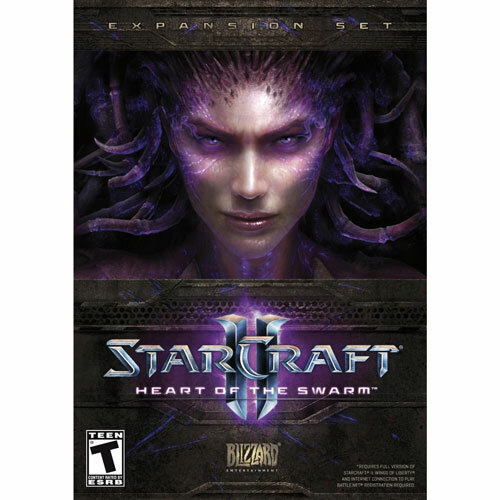 Starcraft II Heart of the Swarm – an expansion to the 2010 Starcraft II Wings of Liberty release – is due to be released on March 12, 2013. It continues where Wings of Liberty left off, with a focus on the Kerrigan/Zerg storyline. Starcraft is a real-time strategy game where you mine resources, build up an army, and squash enemy armies. Starcraft II WoL actually had a very well-polished campaign storyline, and I have high expectations for Heart of the Swarm. Competitive and cooperative multiplayer games are a huge part of Starcraft as well. New to Starcraft? You can play the first few missions of Wings of Liberty and get in on some multiplayer action for free via the Starter Edition.